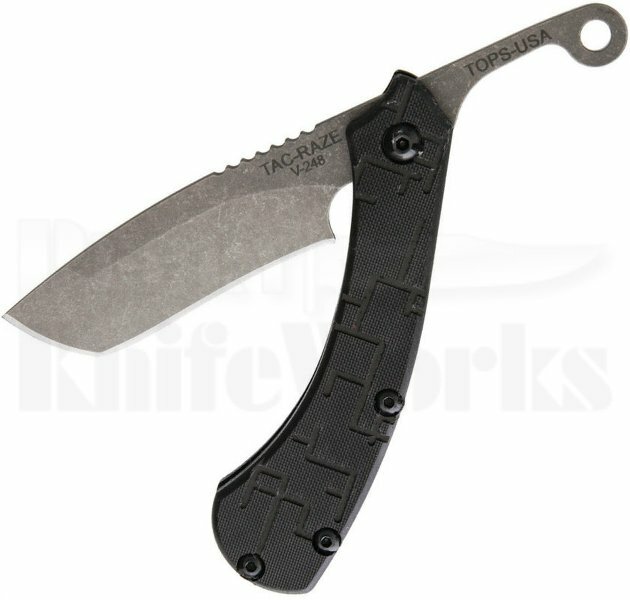 The TOPS Knives TAC-Raze is there first ever friction folder. Leo wanted it to fill two purposes specifically. It had to be a good-looking gentleman?s EDC that could be carried and used in public, and it had to be a functional tool. To accomplish those needs, he started with simple shapes and added curves in all the right places. Even the sheath is stylish, but also gives the wearer a variety of carry options.